Welcome to Homewood, located in Asheville's post-Victorian historic district of Montford. In its early years, Homewood was the home of Dr. and Mrs. Robert Carole, who hosted the likes of Zelda and F. Scott Fitzgerald and The Vanderbilts as Bela Bartok played Mrs. Carole's grand piano in the Great Room. 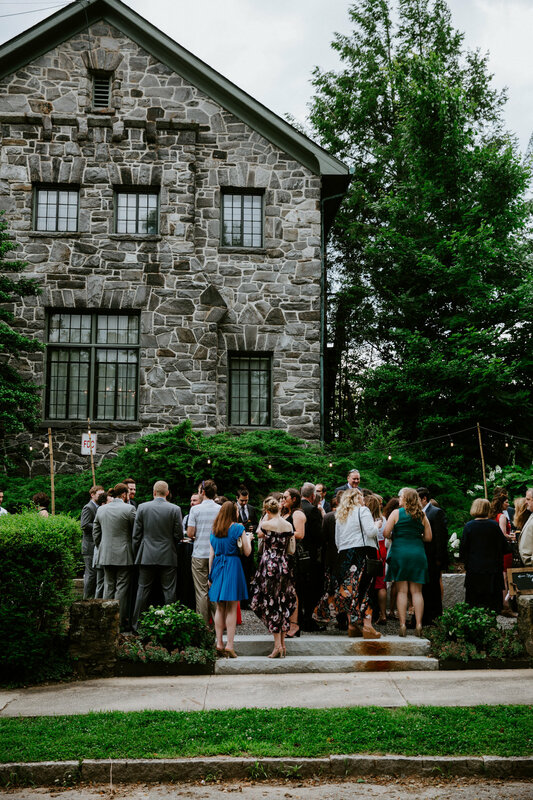 Today, Homewood is a beautifully restored stone manor, hosting special events of all kinds. 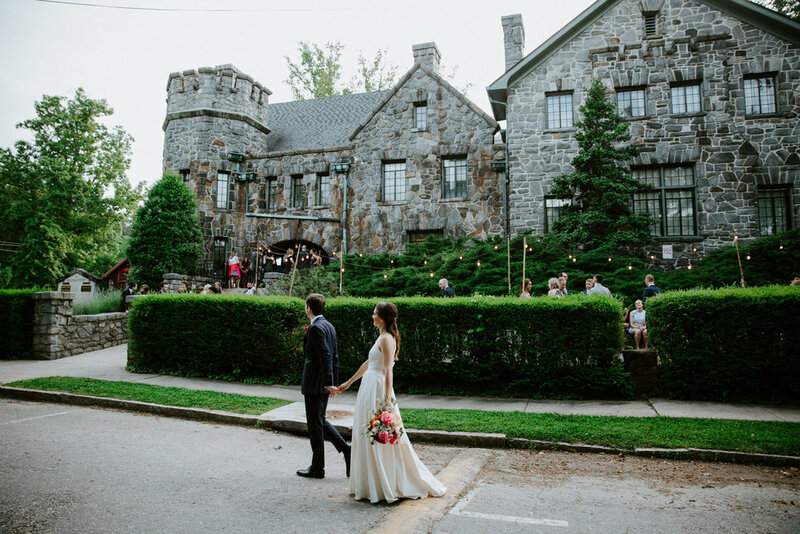 The elegant castle features original hardwood floors, cherry walls, grand Appalachian stone fireplaces and alabaster sconces. Luminous wrought iron chandeliers cast graceful lighting from the 20-foot ceiling of the Great Room. 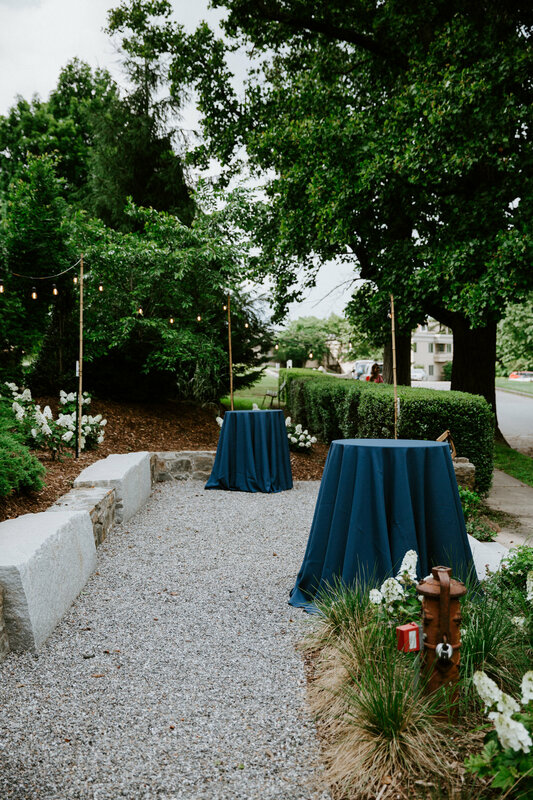 Conveniently located less than a mile from downtown Asheville, Homewood is in a neighborhood setting, with abundant parking and surrounded by lush grounds that provide additional outdoor space, including our ceremony site in the garden adjacent to Homewood. The Great Room seats110 for dinner, or up to 150 with cocktail seating, both with space for dance floor. Homewood has been refined with modern amenities and is fully handicap accessible, including elevator and ramps. 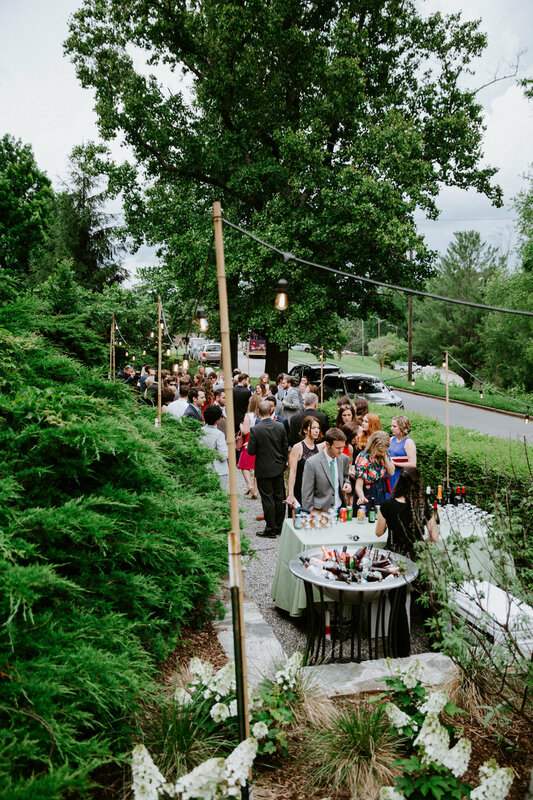 Homewood provides all of your rental items to include tables, chairs, linen, china, silverware and glassware, buffet and bar set-ups, and accent decor throughout the space.We work with a preferred list of caterers who will provide your food and service. We have an in-house beverage company that provides bar packages. You are welcome to work with the vendors of your choice for floral design, photography and music; we have referrals if recommendations are needed, as we work with many wonderful vendors regularly and are happy to guide you toward event professionals who fit well with your vision of your special day. For business events, we offer a variety of set-up and A/V options for groups large and small. We're thrilled to debut our new outdoor cocktail hour area. Located directly in front of Homewood, your guests can now enjoy the gorgeous architecture and lovely mountain breezes, all while being steps away from Homewood's amenities.